For most people with modest salaries, cars function more as practical tools than as highly-stylized artistic creations. However, the history of auto manufacturing is chock full of oddities, ranging from the ambitious to the beautiful to the mind-bogglingly impractical. 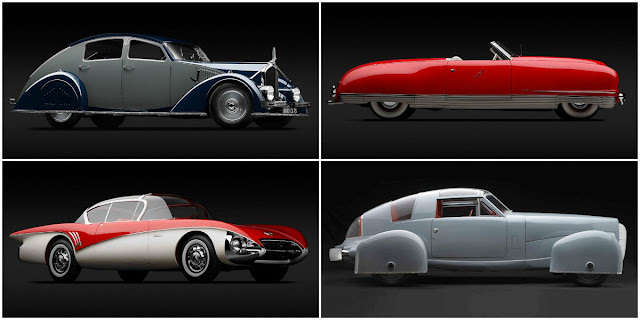 Especially in the early days of the automotive industry, many famous and obscure car designers took inspiration from airplanes, submarines, and even James Bond films to craft cars that defied the imagination. Many of the vehicles were merely concepts that never became mass-produced and accessible to the general public. 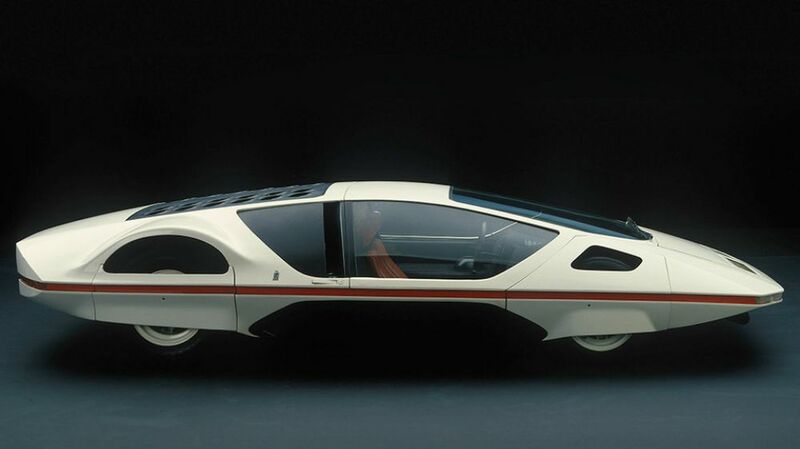 Yet, even the vehicles that were unrealistic and scantly produced introduced revolutionary concepts that became staple design elements of future cars. What happens when creators balance aesthetics, functionality, and their personal vision of the future is one reason we love cars. That's especially true when the results leave us wondering, “How could anyone think this was a good idea?” Here are 15 of the strangest cars ever designed. 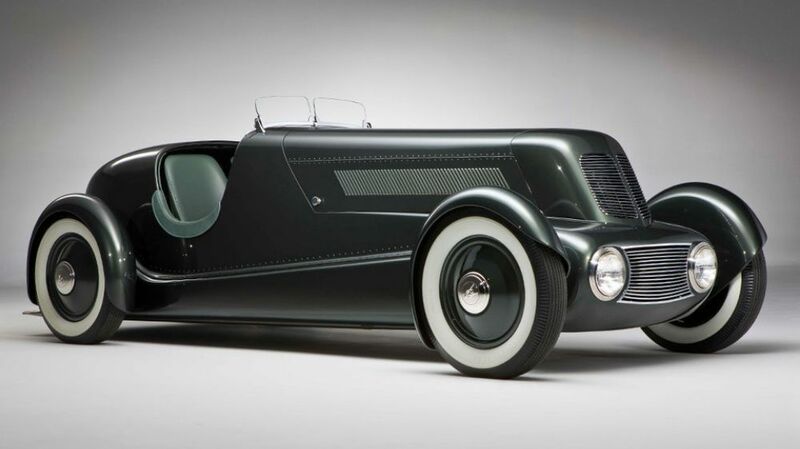 The 1932 Ford Speedster, packing a flathead V-8 engine, came with a starter button, decades before the feature became standard automotive fare. The low, long roadster was the brainchild of Henry's son Edsel Ford and designer Eugene Gregorie. Like many of his peers on this list, designer Gabrielle Voisin started off making airplanes. After World War I, he turned to cars. 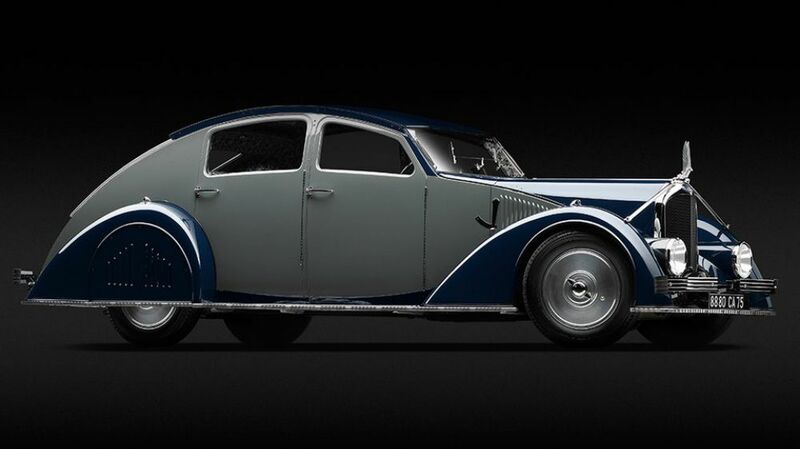 Only 28 of the 1934 Voisin C-25 Aerodyne were made, one of which won Best in Show at the 2011 Pebble Beach Concours d'Elegance. The original example of the 1935 Bugatti Type 57S Compétition Coupé Aerolithe, which debuted at the Paris Auto Show in 1935, was lost after the unveiling — the popular explanation is that Bugatti disassembled it for parts to make the Type 57 production car that followed. Designer William Stout, who worked as an aircraft engineer before turning to automobiles, was a pioneer in integrating luxury and leisure into transportation. Stout Air Lines is credited with introducing flight attendants and in-flight meals. The Scarab draws on that idea; it's a road-going diner car powered by a Ford V-8 tucked in the rear of the stretched aluminum body. The brand never took off, partly because at $5,000 (about $90,000 today), the Scarab was more expensive than the Packards and Cadillacs of those days. Fewer than ten were produced. 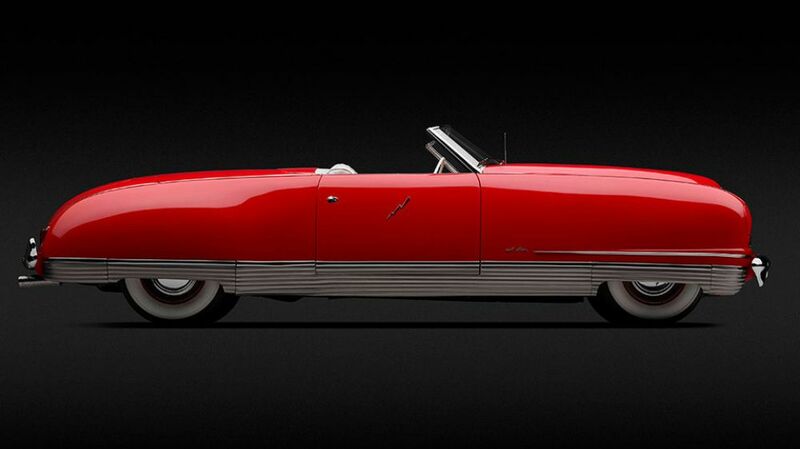 The curves on the 1941 Chrysler Thunderbolt were inspired by streamliner trains. The car was among the first to have power windows -- Chrysler used hydraulic motors to move them. The fully retractable hardtop and button-operated pop-open headlights were also seminal design features that showed up in cars decades later. It was one of the last Art Deco designs before concepts leaned towards futuristic aesthetics. 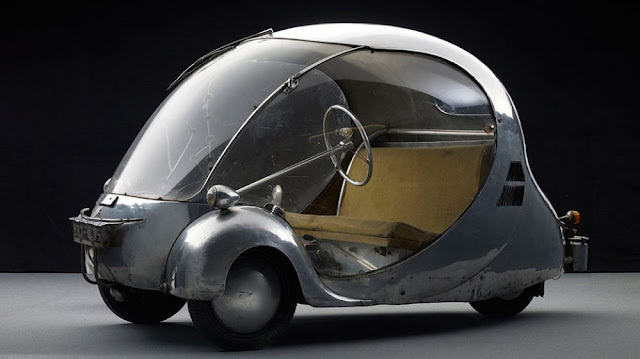 The 1942 Oeuf électrique, or electric egg, had three wheels and ran on batteries decades after gasoline became the dominant way to power cars, and decades before Elon Musk decided to make electricity cool again. Its designer, Parisian Paul Arzens, worked as a painter and designed railway locomotives before moving on to cars. The bubble is made of hand-formed aluminum and curved Plexiglass, a novel material at the time. 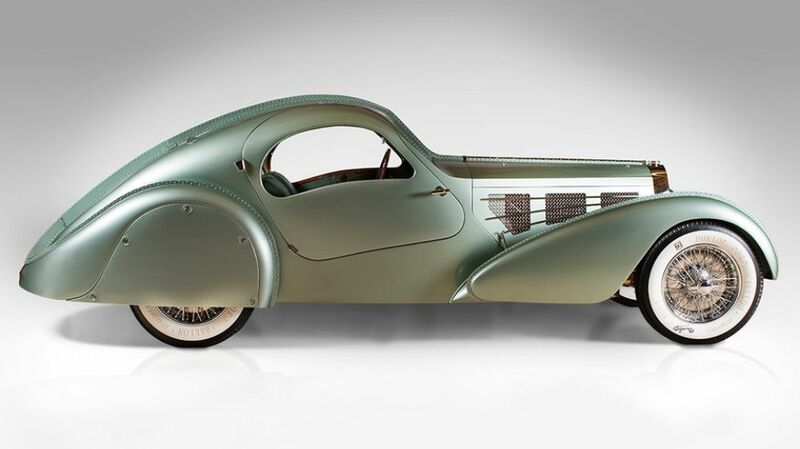 No other automobile looks like the 1947 Norman Timbs Special, with its front-mounted cockpit and curves leading to a raindrop tail. 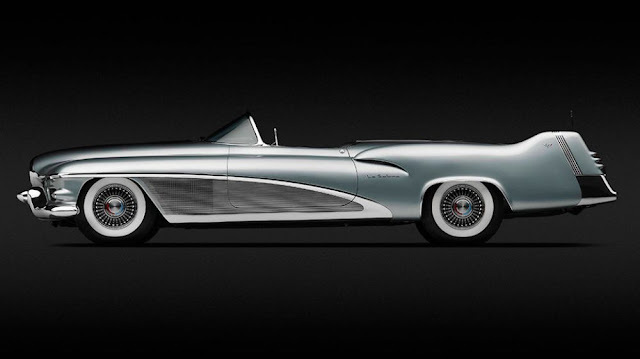 Timbs, an Indy racing engineer, made the car with a Buick Straight 8 engine placed at the rear of the chassis. 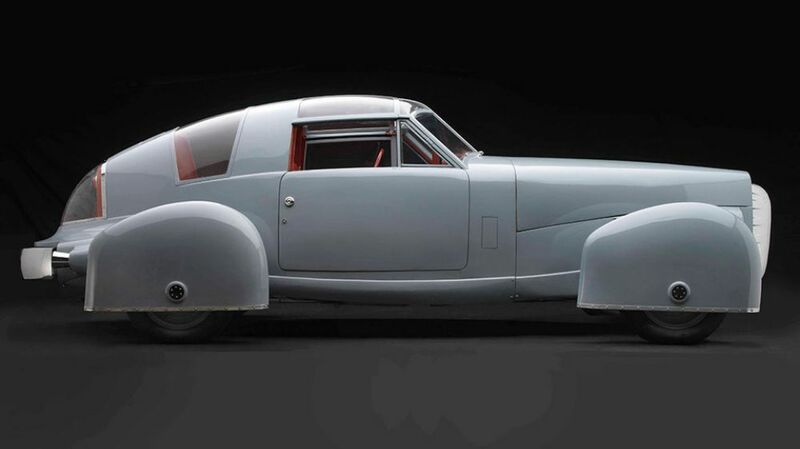 Look to racers like the 1937 Auto Union Type C for indications of Timbs' inspiration. 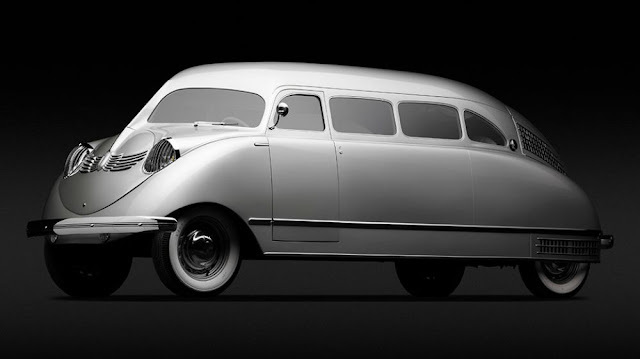 This 1948 Tasco was made under a short-lived brand called The American Sports Car Company — the car's name is an acronym for the manufacturer. Gordon Buehrig, formerly of Duesenberg, took design inspiration from World War II fighter planes. The fiberglass covering the front wheels moved with the steering input. 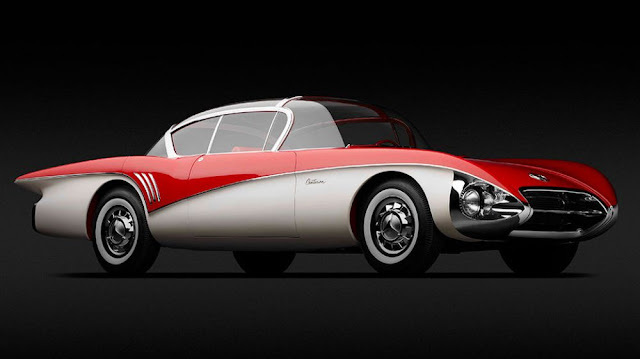 The 1951 GM Le Sabre was the first car to sport fins and a wraparound windshield, design elements that became standard in American cars thereafter. The car came with a moisture detector that would automatically raise the convertible's top if it rained. To describe today's supercars, we fall back on likening the Koenigseggs and Paganis of the world to jet fighters. The 1953 General Motors Firebird I XP-21 was an actual jet fighter, with four wheels, a tail fin, and a bubble cockpit. 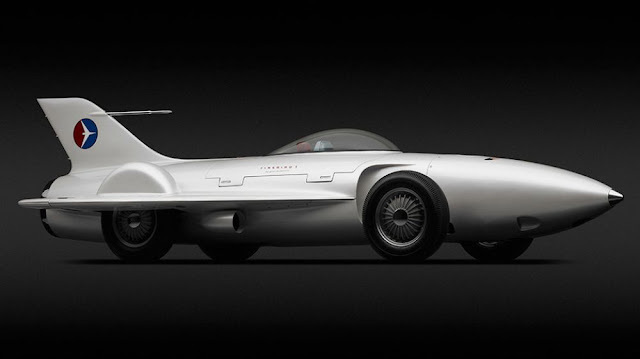 The turbine engine spun at up to 26,000 rpm to generate a whopping (for the time) 370 horsepower. 11. 1955 Chrysler (Ghia) Streamline X "Gilda"
The 1955 Chrysler (Ghia) Streamline X "Gilda" got its name from a 1946 Rita Hayworth movie. 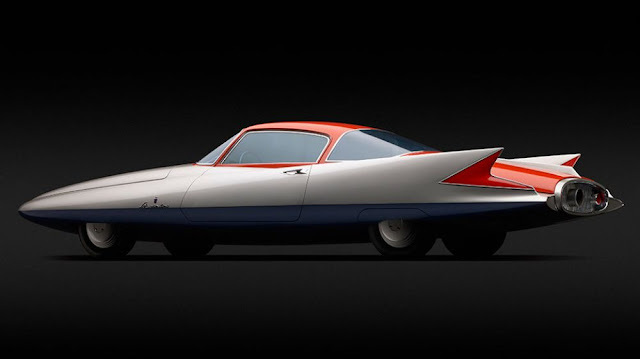 After foregoing a planned jet turbine engine, Italian firm Ghia outfitted the Gilda with a plain 1.5-liter engine made for touring. The design is an antecedent to a short run of Chrysler turbine cars, and the fins tell you it's from the 1950s. The 1956 Buick Centurion had a back-up camera decades before they appeared in consumer vehicles. Buick emphasized the significance of the car's advances with the Jetsons-esque clear bubble roof and cockpit, which gave the driver and passengers unobstructed views. 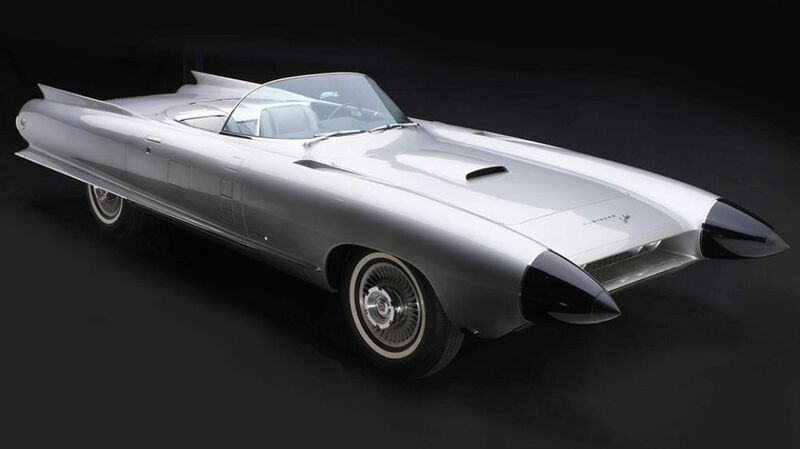 See those two black cones where the 1959 Cadillac Cyclone's headlights should be? Those are the radars for the car's crash-avoidance system, a technology you might recognize as today's adaptive cruise control. If the car sensed an approaching object, it would set of a series of warning lights and a high-pitched beep, and car could even automatically apply the brakes. Design firm Pininfarina has produced more famous works, but the Ferrari 512 S Modulo car, which it created for the 1970 Geneva Motor Show, didn't aim for beauty. 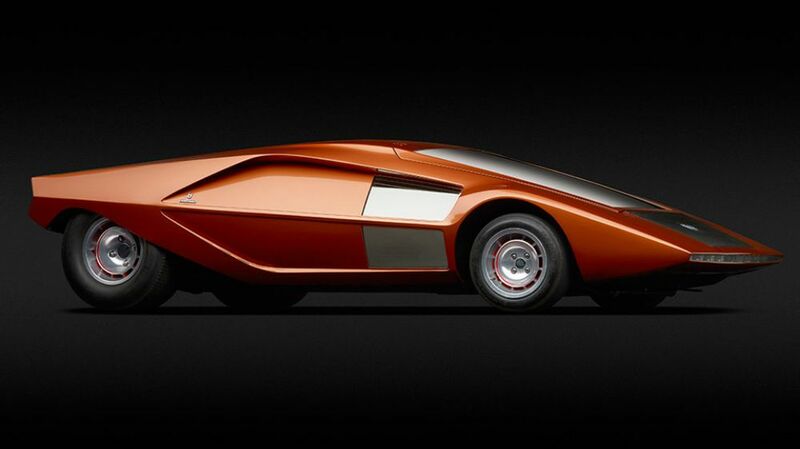 Designer Paolo Martin put the bizarre body on the chassis of the Ferrari 512S race car.